Pollock’s Toy Museum Trust, as its name suggests, is related to the Pollocks Toy Museum in Scala Street in London. The trust’s collection makes up a substantial part of the exhibits there, and it is pleasant to update this text to say that in 2018, we have been able to begin rebuilding our relationship with the actual museum that has been interrupted for some years. The Trust has acquired some additional items during the past few years and will be glad to accept donations of objects, subject to the constraints of storage space, so that we have resources for exhibitions and publications. We have a small but growing number of things for sale, but not a physical shop. The main outlet for these is Benjamin Pollock’s Toyshop in Covent Garden Market and their website https://www.pollocks-coventgarden.co.uk. Some of our other products are also now on sale at the museum shop in Scala Street. 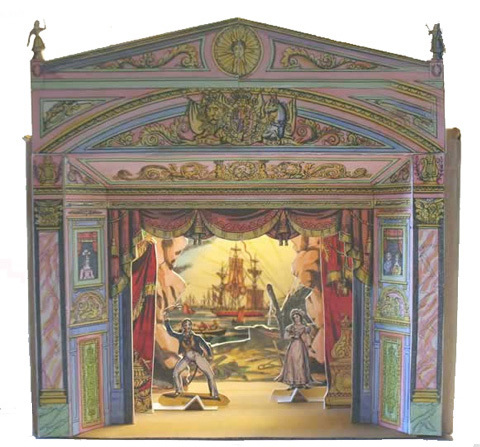 We continue to run our own pop-up stalls at various events, usually the Punch and Judy May Fayre on the second Sunday in May, at St. Paul’s Churchyard, Covent Garden, at the Morley College Winter Fair in Lambeth, and the toy theatre performances that we promote.